Weld Mount is pleased to introduce a new line of hose and cable clamps available from our inventory for immediate delivery. 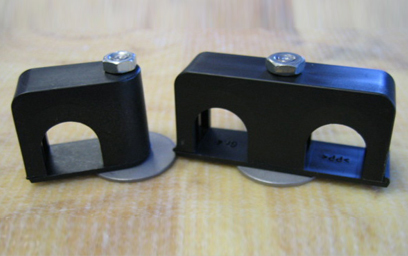 Our Weld Mount clamps are available as single or double units. 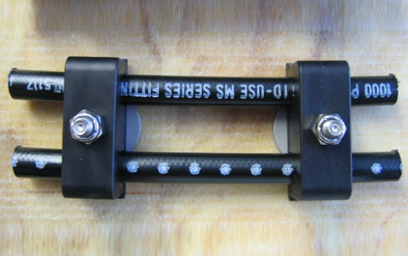 Each is designed to be mounted using our ¼" x 20 Weld Mount studs. The charts below detail the studs required for each size of clamp. The clamps are manufactured of black polypropylene and are temperature rated for -22 to +194 degrees F continuous service. These clamps are available at a per piece price with no minimum quantities or at reduced price based on purchase of bag quantities. Other sizes are available. Maximum hose OD is 1".